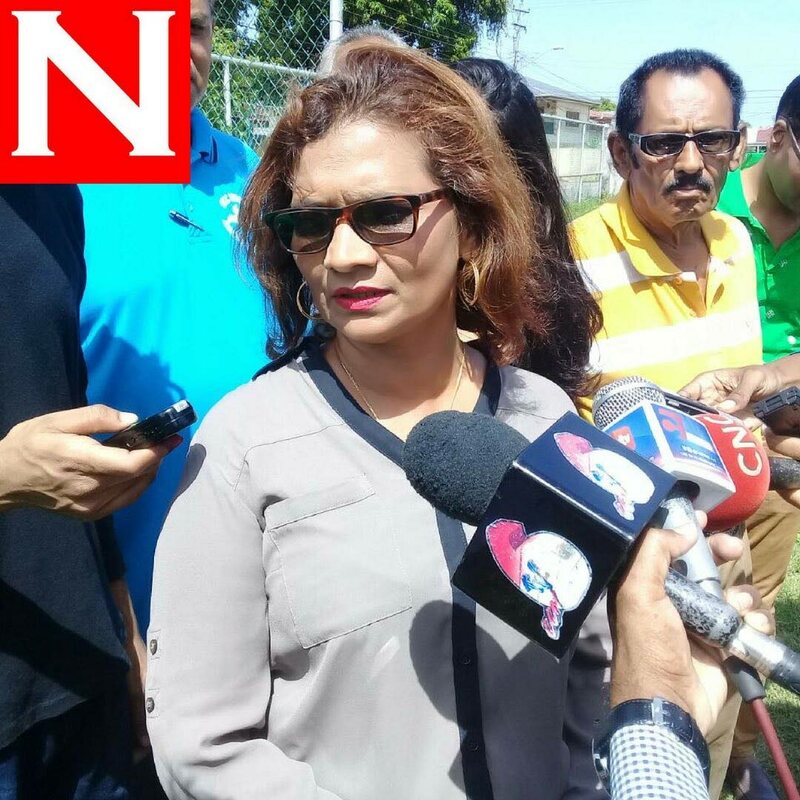 "A good turnout" is how the flow of voters in yesterday's local government by-election for Barataria was described by United National Congress (UNC) candidate Sharon Maraj-Dharam. She met reporters at about 10 am as she emerged from St George's College displaying her finger stained purple with electoral ink having just cast her ballot. She was amidst a 10-person contingent of UNC activists including Princes Town MP Barry Padarath, UNC PRO Anita Haynes and UNC chairman Peter Kanhai. Asked about the experience of her casting her vote, Maraj-Dharam related, "It was very simply. Just went in and do what we normally do, vote. "The process has been going smooth. Everything is in order. Minor hiccups." Asked of the hiccups, she replied, "A couple of names we were unsure of, but we are dealing with that. Several names may not be on the list. We are just verifying that." Asked of any problems, she replied, "Nothing." Maraj-Dharam said, "Our turnout is very good." When Newsday suggested there was a subdued flow of voters at that time (11 am) and that location (St George's), Padarath chimed to say this station had a fairly small number of registered electors, but that other polling stations were far more populous. He said the area's two largest polling divisions have a total of over 2,000 electors. "Don Miguel Hindu School has had a steady turnout of voters. Votes have been steady since the morning and we expect so for the rest of the day." Reply to "Sharon sees good turnout"